Limoncello caters to private functions and banquets such as bridal and baby showers, anniversaries, birthdays and other social events. 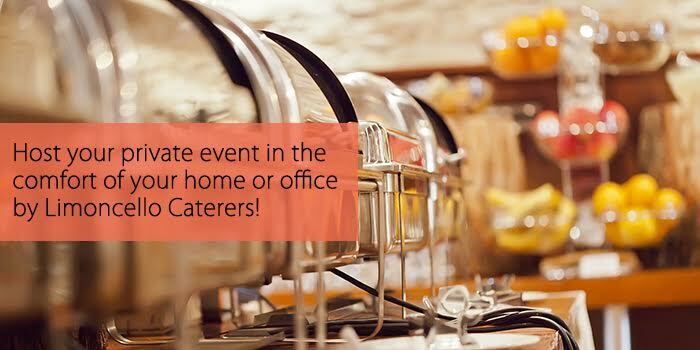 Our award winning team brings legendary Italian cuisine and exceptional service to your home or your preferred venue. We'll guide you through every step of the event and provide our own professional servers and bartenders to make your event memorable. Online Delivery & Take-out for our West Chester location. ONLINE ORDERING FOR BOTH CHESTER SPRINGS AND WEST CHESTER LOCATIONS. PICK UP ONLY.